Maybe it's one of these people? Doctor Who bid an emotional goodbye to Clara Oswald and Jenna Coleman shortly before showrunner Steven Moffat announced his own departure from the series. And while Peter Capaldi’s been noncommittal about his continued involvement in the show, he’s just revealed that the 12th Doctor’s newest companion has already been cast. 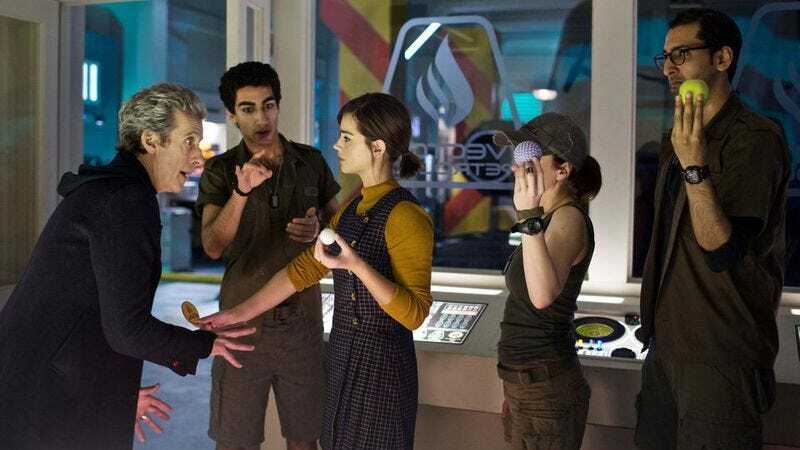 Capaldi couldn’t divulge exactly who will be joining him in the TARDIS next season, but he did note that the casting is “a very different sort of take” on the companion role. We hope that means the Doctor will finally be paired up with a bored tabby who remains indifferent even while witnessing a supernova. In other Who news, the rumors of the series‘ return to streaming form that were planted then recanted by Amazon Prime last month—apparently, someone tweeted something they oughtn’t have—have just been confirmed (again). Amazon’s streaming arm has just announced via press release that it has signed a multi-year deal with the BBC to make the influential series available to its Prime customers, making it the exclusive U.S. purveyor of Weeping Angels, Daleks, and husbands of River Song. Starting on March 27, Prime members will have access to seasons 1-8 of (new) Who, as well as all of the holiday specials, with season nine’s Christmas special slated to make its debut in the fall. In the meantime, you can take a quick trip down the Wiki Wormhole to revisit the history of Doctor Who.